As an American it makes me quite proud that our nations automotive industry is leading the charge with alternative fuels. First Tesla and now the Bolt. Both are able to easily travel well over 200 miles on a single charge. But unlike Tesla I am not totally convinced the Bolt will be a resounding sales success. It has a few noteworthy problems. 1. 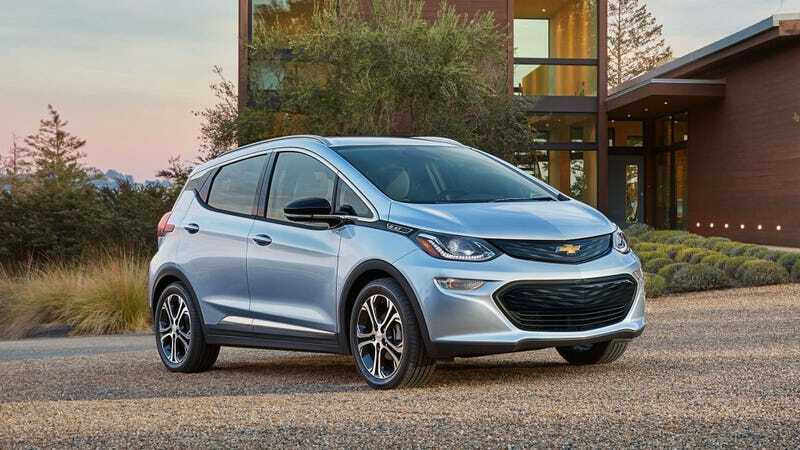 Slow Charge and a Lack of Charging Stations : While the range is more than acceptable for a daily driver, until Chevy says it travel across the nation with “supercharging stations” the Bolt will never be a true long distance cruiser. Although the Bolt does manage to charge to 80% in an hour, Chevy needs to find suitable outlets to let owners charge their vehicles. 2. It is a Hatchback: Americans love trucks and crossovers. In the gold ol’ days we also loved sedans but that segment is apparently having a slow death. Where does that leave hatchbacks? Well somewhere between not cool and utilitarian. Save for a few exceptions hatchbacks have never been considered good looking cor even lust worthy cars. So why is Chevy producing a “Tesla fighter” that is so pedestrian? If Chevy really wanted to maximize Bolt sales they would have sold it as a sedan or crossover. Hopefully in the future they will remedy this issue. 3. Gas is very cheap: This issue is not really the Bolt’s fault but nevertheless it is an issue it will have to contend with. Gas prices are predicted to stay low in 2016. Which makes the argument for an electric car much more difficult. I am not sure how the Bolt can solve this issue but it will certainly worth remembering when the sales figures start to roll in. Although the Bolt has several problems I am hoping it is a success. The idea of becoming carbon neutral and saving the environment is something everyone should be excited for. But if we want electric cars to be a success shouldn’t the automotive industry be putting their best foot forward to make it a success? With 4g LTE, a 200 mile range, a 30,000 price tag, and numerous other goodies the Bolt is an attractive option and I wish the Bolt and GM the best of luck. But I am not sure this is the revolution that the company is hoping it will be.